Promoting your business online is a challenging undertaking. With so many different digital venues, it's difficult to understand where your advertising dollars will bring the best return. Provide me with your domain. I will provide you with a SEO audit report via email. By performing a SEO Audit, we can reveal areas of your website that are harming its basic search visibility. It doesn't make sense to spend money on digital advertising when your website has issues that are causing it to under perform. 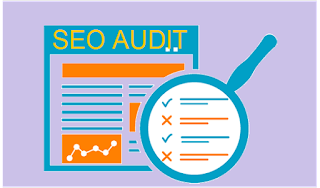 A SEO Audit will identify technical problems that need attention. Consider these issues to be "low hanging fruit". Making crucial tweaks to a website will immediately improve your search traffic and ultimately your conversion numbers. Correcting your website's technical problems first, will prevent you from spending too much on advertising. Saving you money that can be better allocated elsewhere. Once your website is "healthy", free of technical issues and organized to match your business objectives, you are ready to advertise. Digital advertising is important too. It gets your message out to the digital audience immediately and accumulates a wealth of client data. This data provides business owners that ability to dive deep into understanding prospective clients, how they use your website, and how your site performs. Achieving good SEO practices along with Digital Advertising is an on-going process. When these two pieces are working as a well oiled machine, data will help drive your business decisions and improve ROI. This may sound unobtainable; however, we are here to help you achieve this. Start with a SEO Audit to direct the path forward. We provide real action to fix issues combined with comprehensive reporting so you can monitor progress. Take the guess work out of digital marketing. Our SEO Audit and development process enables us to identify what digital services you need in order to achieve success on time and within your budget.